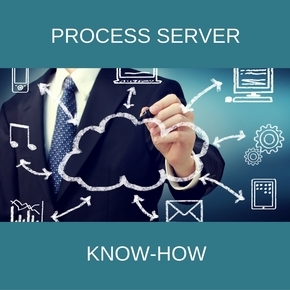 Let's face it - Process Service is certainly no fun! And it is often a neglected step in a judicial proceeding. If not completed or done properly, insufficient service of process may result in a delay, breach of duty or termination of an otherwise successful trial. It could become costly! The Challenge? You don't have much time to research, find process servers, supervise them, make sure they are knowledgeable. You simply don't have time to ensure compliance and timely delivery of both service of process and affidavits for the court hearing. But what if you can save time and money? What if you can streamline the serving of your legal papers? Associated Services has a solution that can help you, and we would like to share it with you! Get Your Know-How Guide Now! Copyright © Associated Services - A PROCESS SERVER MANAGEMENT COMPANY.